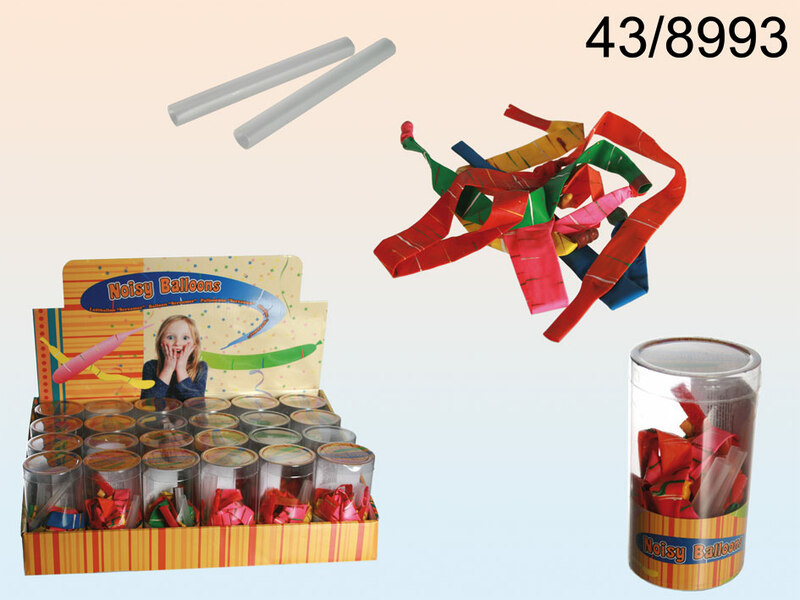 Set of 18 noisy balloon screamers with plastic exhaust tube. Crazy item for children parties. Assorted colours. PVC tube. Display stand contains 24 sets. The given price is for 1 item.